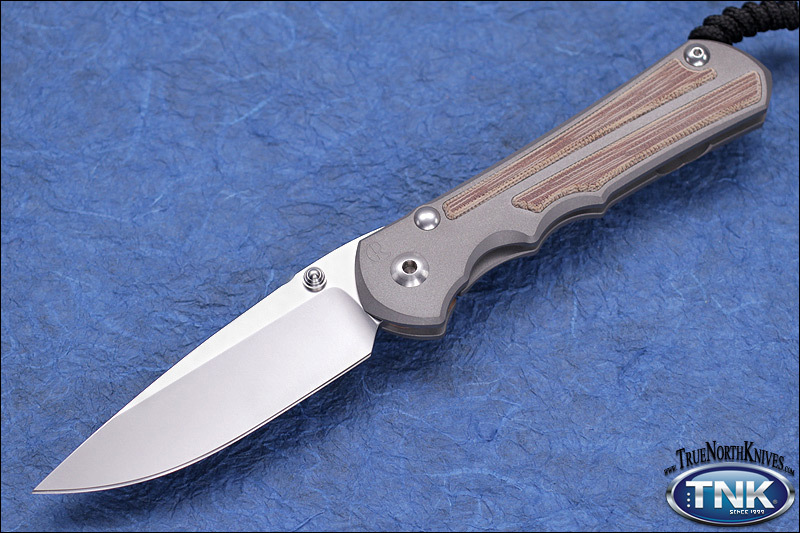 The Chris Reeve Inkosi is a new model with a blade length of 3.56" with many of the features of the significantly larger Sebenza 25. The Inkosi comes in with a closed size of 4.81" and a weight of 4.8 oz, a great size and weight for everyday pocket carry - in the sub 3" blade size range. The CRK Inkosi features a drop point blade shape with razor sharp "Large Hollow Grinds", a grind that blends the best of hollow and flat grinds. Refined design, precision construction are all part of this American-made pocket knife. The Inkosi folding knife features dual ambidextrous thumb studs, allowing the user to open with either right or left handed. The thumb studs and lanyard pin are natural titanium. True North Knives proud to offer and represent the Chris Reeve Inkosi as an authorized CRK dealer for the last 20 years.